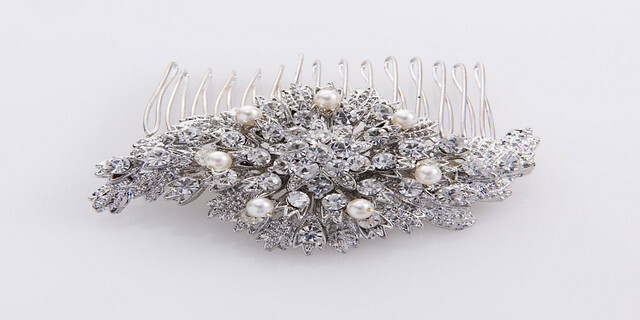 Diana is covered in rhinestone crystals in a delicate design set onto a silver 5.5cm comb with hand wiredswarovski crystals for a real vintage feel. Works beautifully with our bandeau veil, birdcage veil or mini birdcage. This product was added to our catalog on November 29 Friday, 2013. Copyright © 2009 Ellie Sanderson. All rights reserved. 26 Little Clarendon Street, Oxford OX1 2HU. VAT Number 907 1319 42.